Photos by Kirsten Pisto/Woodland Park Zoo. Kids love bugs. There is just something irresistible about the creepy crawlies that slither, march and fly around us. Maybe it is their intriguing size or perhaps their alien form. Either way, I've seen a group of kids snub a jaguar for a trail of ants, seriously. 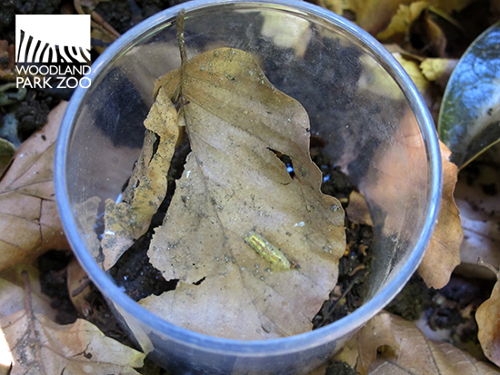 We have plenty of bugs at the zoo, inside and out. Our Bug World exhibit is brimming with roaches, gigantic spiders and the coolest looking leaf insects you’ll ever see. We also happen to live in a region that is teeming with insects that can be found in our own backyards. 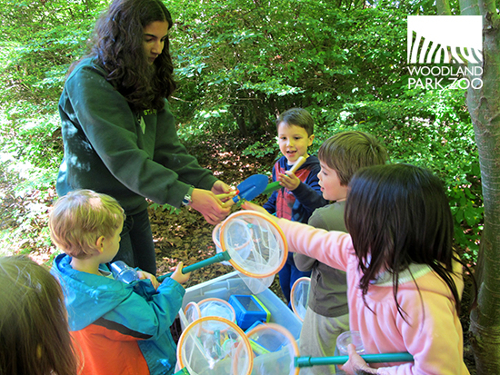 Connecting kids to the insects in their backyard is a big part of connecting them to the idea of living landscapes. Every organism is a player, and if you start with the little guys, it is easy to get kids on board with that concept. We hung with Zoomazium interns Brianna Morley and Saritha Beauchamp as they led a group of youngsters and their parents to Zoomazium’s backyard space, gave them some nets and magnifying glasses, and let them loose. A bug hunt ensued! Saritha doles out bug hunting equipment. 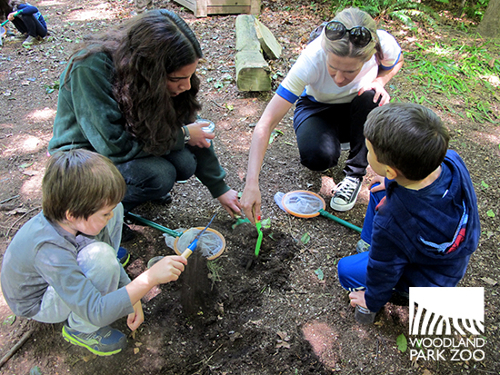 Saritha and her bug hunters get their dig on. Digging, waiting patiently and climbing are all good tactics for these bug hunt professionals. Checking to see if they were successful in catching up any critters. Success! These girls caught a grub! The beautiful bounty of a bug hunt, a tiny yellow grub. Don't worry—no bugs were harmed in the making of this blog. All bugs were placed gently back from whence they were scooped. And when you don’t find any bugs, there is always a sister to catch. 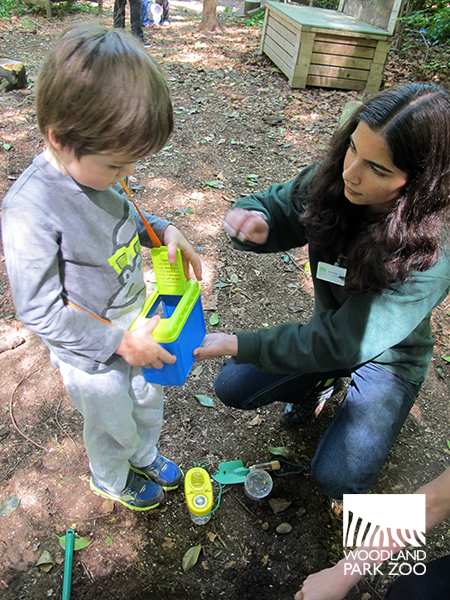 “It’s an excellent opportunity for kids to learn the value of playing outdoors,” says intern Max Hughson. Allowing kids to explore and learn on their own is invaluable in science education. 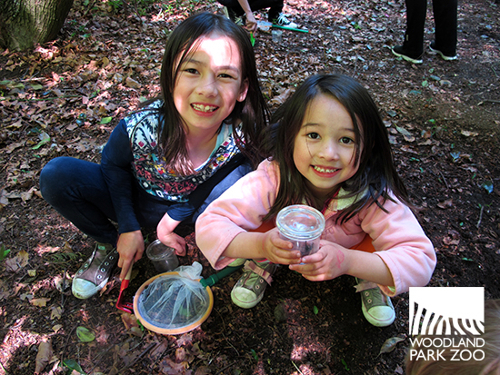 When kids are excited and curious about a subject, such as bugs, they learn to value them. It is easy to see how something as simple as a bug hunt promotes problem solving, critical thinking and imagination. Zoomazium interns lead various outdoor programs a few days per week in the afternoon. 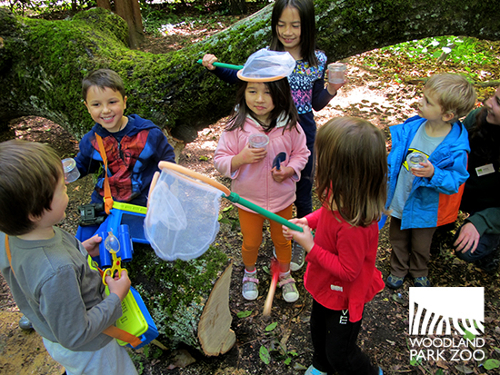 There are a number of programs including a bug hunt, web walk (participants look for spider webs and gently mist webs with a spray bottle to see the web structure) or a micro hike (participants follow a string through the backyard and see what they can find along the way). Visitors are welcome to stop by Zoomazium in the afternoons to see which outdoor programs are going on that day. 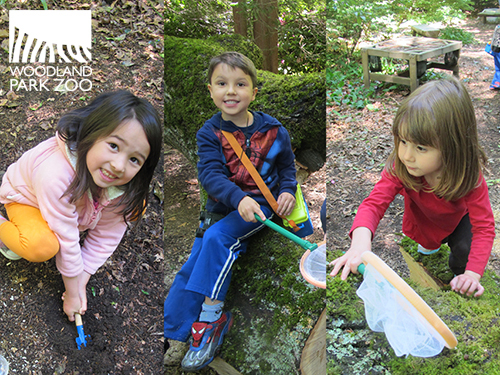 Nature Exchange is everyday 1:00 - 4:00 p.m., puppet shows every day at 4:30 p.m. in July and August, and visitors can always explore the backyard on their own. 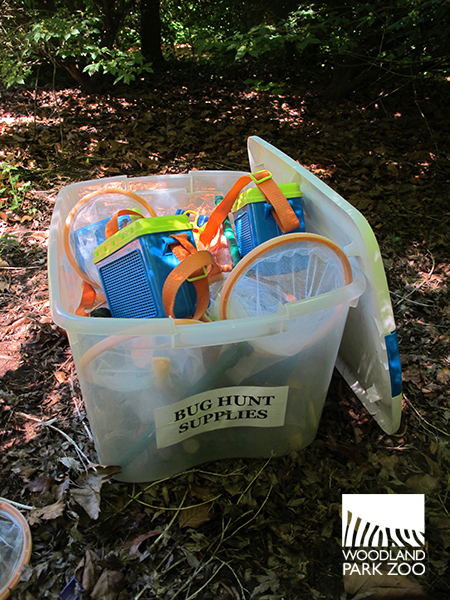 Kids can check out the bug hunt equipment anytime that Zoomazium is open! Happy hunting!